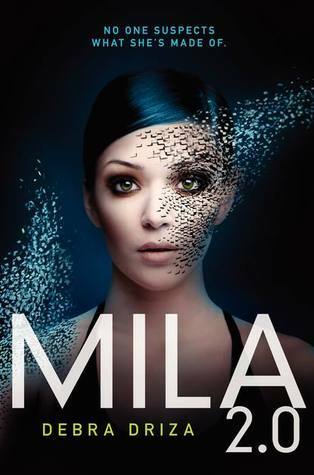 Mila 2.0 is a thrilling sci-fi adventure filled with trials, revenge and secrets. Mila seems like a normal sixteen year old girl who has experienced great loss, has issues with her mother, gets flustered around crushes, and deals with the normal drama of high school. Just remember, things aren’t always what they seem. The Mobile Intel Lifelike Android is a military experiment for the purposes of espionage and combat in a segment of the CIA. Both the government and an auspicious group called the Vita Obscura are out to get Mila and her mom, which forces Mila to harvest and learn what she’s truly made of. As she learns how to reap her android properties, she grows to learn that she must also learn to disobey these properties and go with her own instinct; this is her break from the mold. Emotions are the driven motif here in this book, as it is what moves Mila to want to feel more human. ; it is both her blessing and her curse. There are people out there who want to terminate her because of her pre-programmed emotions, but her mom risks everything to save her because of her evolving emotions. Maybe Mila is more human than they think? I love Mila as a protagonist because she is compelled into action, not because of some random guy, but because she wants to live. Sure, a couple of significant guys appear in the book, but they don’t hinder her by turning her into a teenage emotional pile of goo. Hunter and Lucas actually help her to realize how human she is, and how much more human she could become. General Holland is the ultimate antagonist for Mila, as a methodical psychotic military scientist. He also brings in her counterpart, Mila 3.0, which becomes a side-kick antagonist on a whole other level, making it that much harder for Mila to focus on standing out. Being told in first person perspective is a plus, I feel, for the book because it keeps the same secrets that are away from Mila, away from us, and we as readers must learn and experience everything along with Mila. I like how the author gave little hints and clues throughout the book, to allude to future revelations that may be made in the next books. What are Mila’s tears made of? How is she evolving? Who’s harvested cells does she have? Who is Sara? Overall, this is a great sci-fi fantasy with a strengthening girl protagonist with great ambition. The adventure, tribulations and revelations in this book make for a wonderful Young Adult series and I cannot wait to read more!